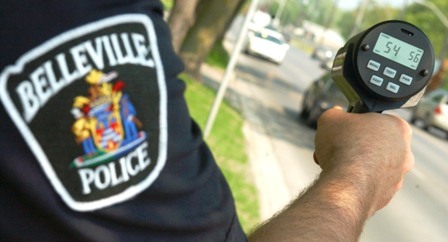 Traffic-related safety issues and complaints touch all of our lives and continue to be a priority with the Belleville Police Service. Too many people are killed and/or seriously injured on our roadways each year. Enforcement alone will not reduce the number of these needless deaths. Until all motorists, cyclists, and pedestrians accept that road safety is a shared responsibility; we will not achieve the goal of making our city streets a safer place for all road users. The Traffic Safety Unit comprises three officers who are dedicated to specialized enforcement activities throughout the City of Belleville. They perform their duties through the use of marked and unmarked cruisers, motorcycles, and all terrain vehicles. By employing the concepts of high visibility, efficient movement, and deployment with selective and effective enforcement activities, the Traffic Officers have positively enhanced the Service's goal of providing effective traffic safety policing. These officers have been selected because of their experience and interpersonal skills. Traffic Officers are involved in the enforcement of the Highway Traffic Act; taxi, private passenger vehicle, and commercial vehicle inspections; parades and special events; V.I.P. and security escorts; R.I.D.E. spot checks, ATV patrols and collision reconstruction for serious injury and fatal collisions. 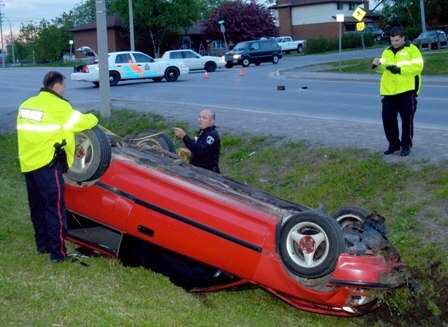 Further inquiries can be made to the attention of the Traffic Safety Unit at (613) 966-0882 extension 2121.